According to the California Highway Patrol, last weekend saw a disturbing increase in reported auto accidents. Across the county’s freeways, over 200 accidents were recorded. All the incidents took place between nine p.m. Sunday and one a.m. Monday. This is an incredible 570 percent increase over the same period the previous week when only 30 car crashes were reported. It is likely a rainstorm that hit the Southern California area attributed to the hundreds of freeway accidents Los Angeles saw over the weekend. The National Weather Service reports the rain will dissipate, leaving behind patchy clouds and mid-60 degree temperatures before bringing in a cool autumn Thanksgiving. Meanwhile, the storm still managed to dump an inch of rain at Brentwood’s Getty Center and over two inches of water in San Luis Obispo County. The Los Angeles River was swelled, leaving four people stranded near Atwater Village on a small island. Over 100 firefighters were dispensed to rescue the two men and two women trapped in trees and surrounded by rising water. Fortunately, there have been no reports as of yet of serious injury or fatalities in relation to the storm. It is understood Mother Nature can have a dynamic impact on driving conditions, but that does not negate responsibility if there is an accident. Regardless of weather, the key issue in establishing liability in an auto accident is negligence. The law looks to see if any and all parties involved where acting responsibly and in accordance with standards of care. While rain, fog, ice and snow affect driving conditions, an investigation wants to know if parties took conditions into account. This means slowing down, keeping sufficient distance from other vehicles, using high beams sparingly, having operational defoggers, etc. 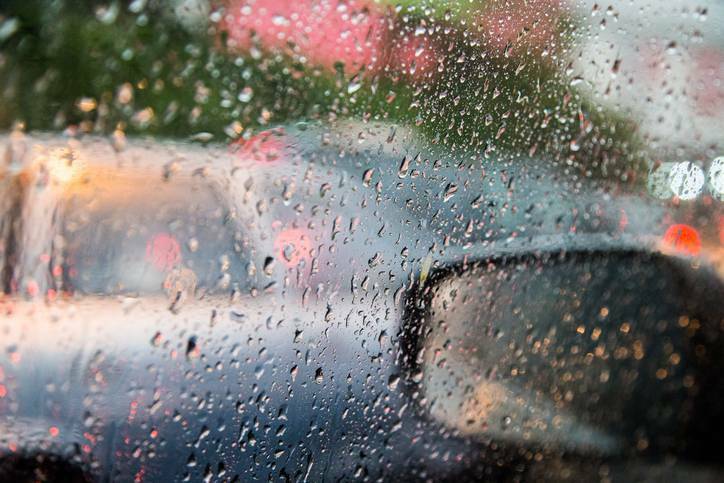 A driver could be held accountable if their windshield wipers were ineffective and minimized vision. The condition of the tires and the entire car will be reviewed with results influencing liability. If pedestrians are involved, their actions in bad weather could come into play. While pedestrians always have right of way, there are reasonable actions a pedestrian has to engage in during bad weather. They should not be wandering on sides of moving traffic, crossing outside of crosswalks or walking against lights. When it comes to investigating and finding responsible parties in auto accidents, Ellis Law puts all its experience and education to its clients’ advantage. If you or anyone you know has been injured because of someone’s driving negligence – even in bad weather – call the experienced Los Angeles auto accident lawyers at Ellis Law Firm for a free consultation.